2007-2008 Scion tC Injen Cold Air Intake5RossDecember 23, 2010I didn't know much about this website when I bought this intake from them. I was surprised when I got class A shipping and a class A product. New level Motor sports has my business from now on. This intake is great. It fits well and performs great. 2007-2008 Scion tC Injen Cold Air Intake5DaveFebruary 17, 2010Perfect fitment sounds great, wouldn't expect anything less then that from injen. 2007-2008 Scion tC Injen Cold Air Intake5Joseph EspinozaFebruary 10, 2010Hey the cold air intake was a cool upgrade could tell of a gain from mid to hi and was a lil of a pain to install the right way! I removed the front bumper and also the driver side wheel and wheel well but the outcome was great. It was a flush with my tanabe medallion concept G exhaust and sounds great! Well thanks newlevel m-sports. 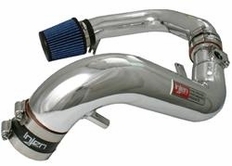 2007-2008 Scion tC Injen Cold Air Intake5GarrettJune 29, 2009The Intake came quickly, installed easy with the supplied directions, and I couldn't be more satisfied. 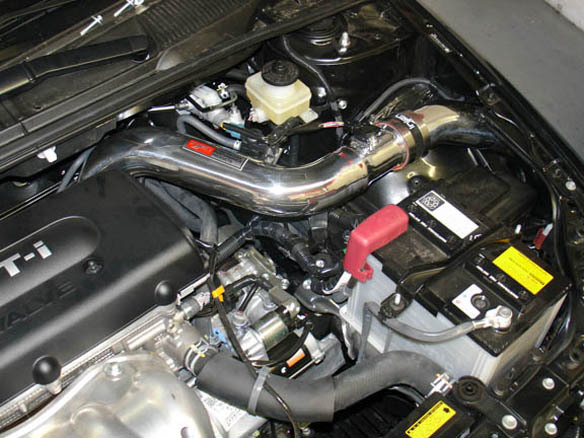 2007-2008 Scion tC Injen Cold Air Intake5Nathan mansourApril 1, 2009The cold air intake is amazing. The instructions were perfect. For someone who knows nothing about cars, it was pretty easy to install. The part number for this item is SP2114P or SP2114BLK (depending on which color you choose)and it fits 2007-2008 Scion tC 2.4 models.